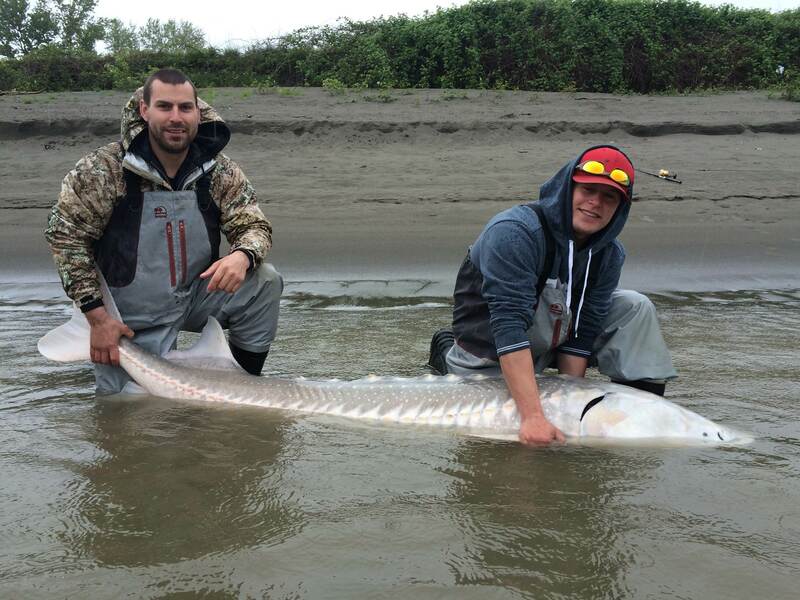 Fishing has been excellent this past week, lots of action for sturgeon on the Fraser and salmon in Vancouver. Crab and prawn fishing has also been good. Tradeshow season is almost over but there are still a few local in-store sales and smaller community shows. We will keep you posted. Please see below for detailed report. 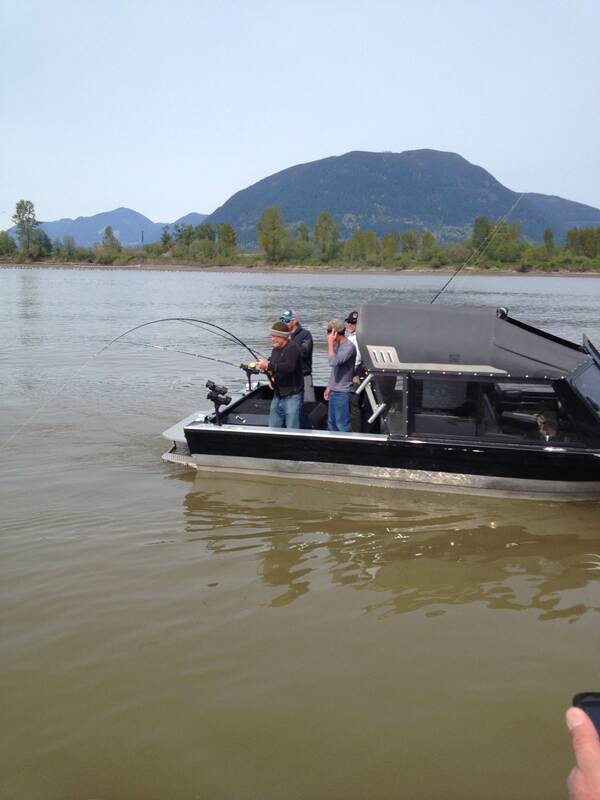 Sturgeon fishing has been good to excellent, we have been fishing the Mission area as well as the lower River near our Vancouver location and doing quite well. The above picture was taken end of last week, 12 fish in less than 2 hours with a few double headers, most fish were caught using Eulachon. The area above and below Mission has been fishing excellent as well but we have noticed a bit of a slowdown this past weekend. Could be caused by the rising river as we have had some serious rain storms up north and locally. Best bait has been Lamprey eel and Eulachon, a few fish on pike minnow and salmon eggs as well. We still have some openings for this week and next weekend if you are looking to get out on the water. 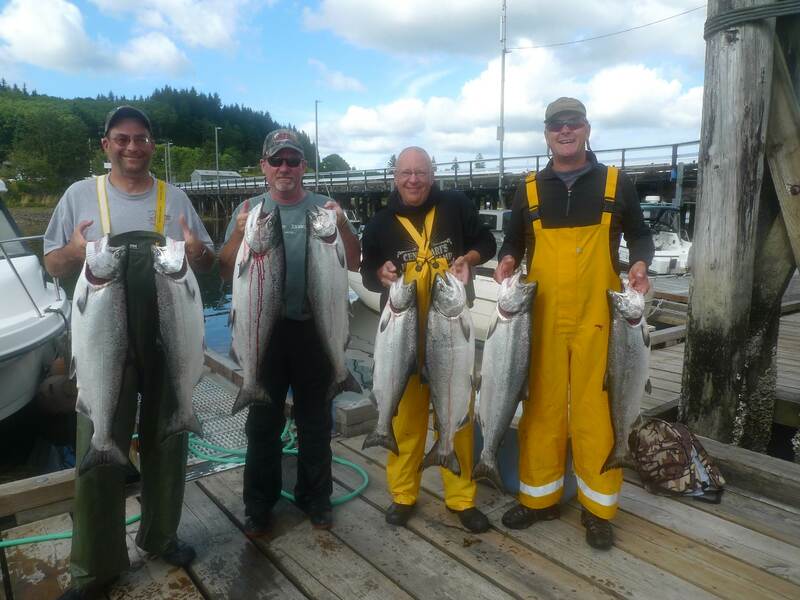 Vancouver Salmon Fishing has been good to excellent, this fishery is day to day as fish move in and out but overall fishing has been good for both salmon and crabs/prawns. 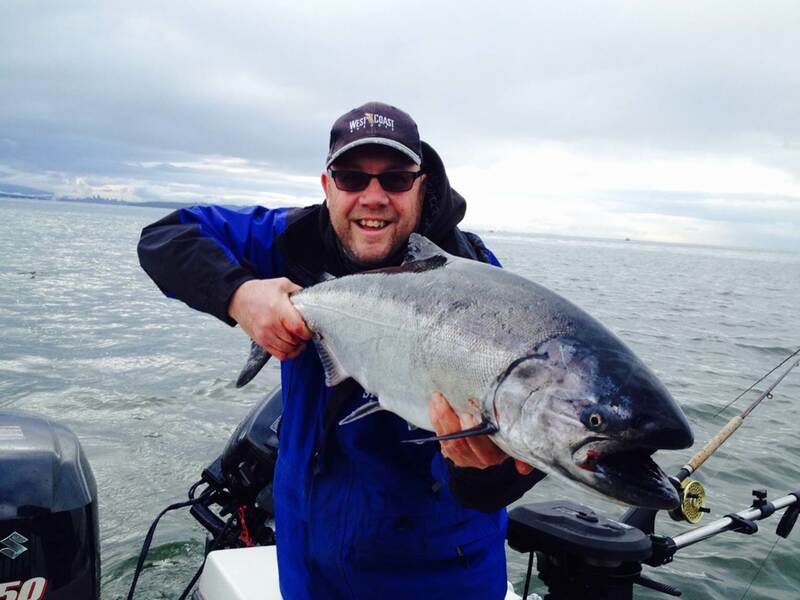 South end of Bowen is fishing well and when wind picks ups Tungstal Bay is also producing some nice fish. 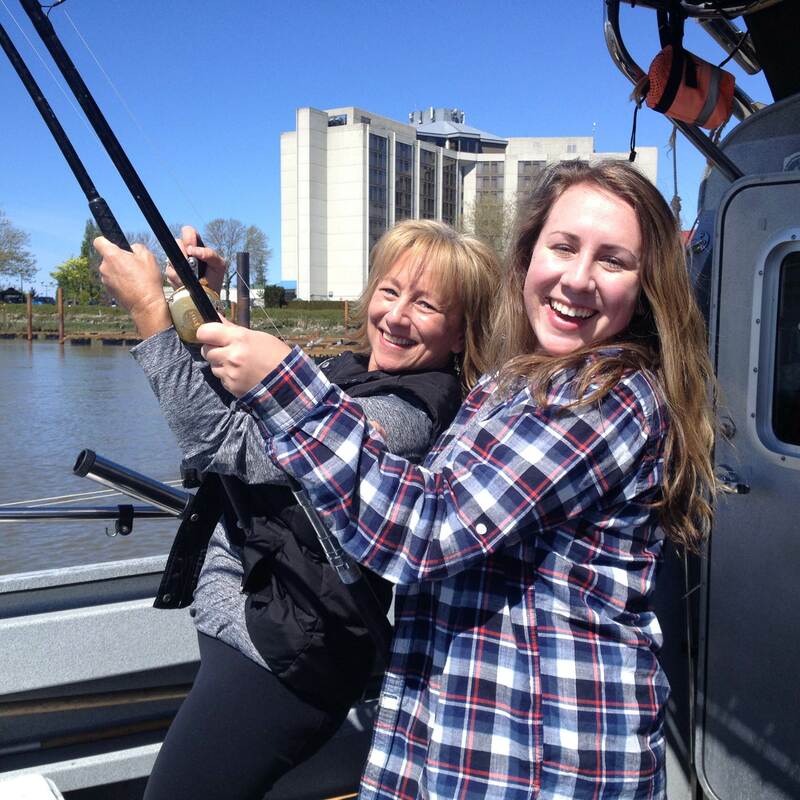 This time of year you want to fish deep, 120 to 150 feet near Bowen Island, 60 to 80 feet closer to Vancouver Harbour. Techniques used to fish for salmon are trolling flashers with spoons or bait, our best luck has been with the Gibbs/Delta STS UV Glo Flasher trolled infront of a G-Force Glo Spoon or anchovy with a Rhys Davis glo teaser head. Trolling speed is between 2.0 – 2.3 MPH at 128ft. If your are trolling either one of these make sure you run a good length for leader, we recommend 5 to 6 ft of leader between flasher and bait. 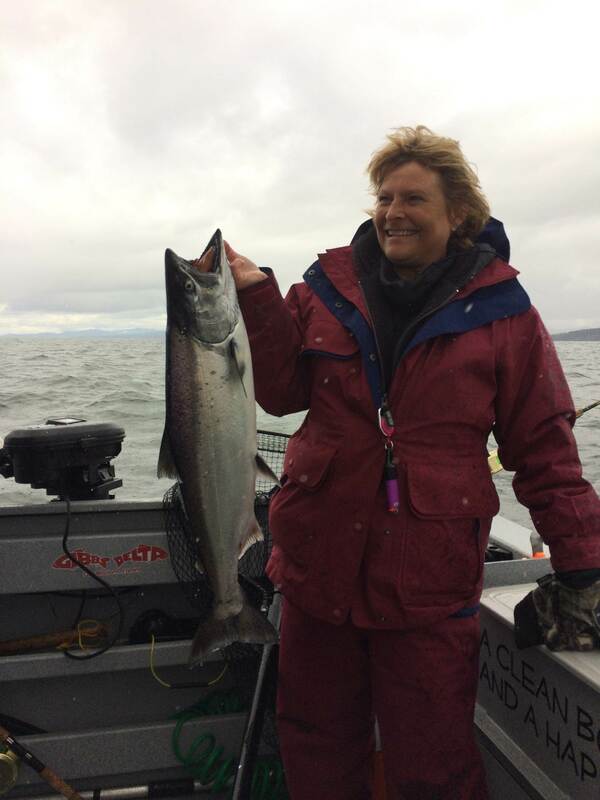 The local Vancouver Salmon fishery should continue to produce good results over the next 2 to 3 weeks then the Gulf Islands will start to heat up, these trips are 10 hours as there is over 2 hours of travel time back and forth to the fishing grounds. If you are looking for a great fishing trip for salmon and Halibut, our west coast trips begin middle of June through to end of July. 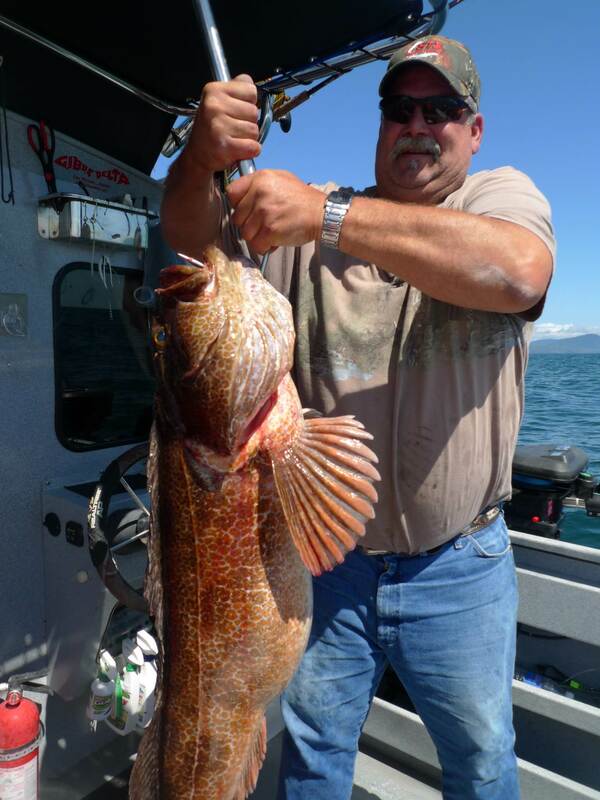 Big Ling Cod like this one are a regular catch while fishing the West Coast, we also catch Yellow eye, snapper, black bass, chinook, coho and halibut on these trips. If you would like more information on our west coast salmon and halibut trips, please call or e-mail us, I still have two trips to sell in July which is primetime. Accommodations, all meals and 10 to 12 hours of guided fishing at a great price. We have had a few private tours up to Hells Gate already, water conditions are still good but won’t last for much longer when Freshet begins. Our seat sales for August are beginning to fill up but we do have space on two dates, August 16 & August 23. 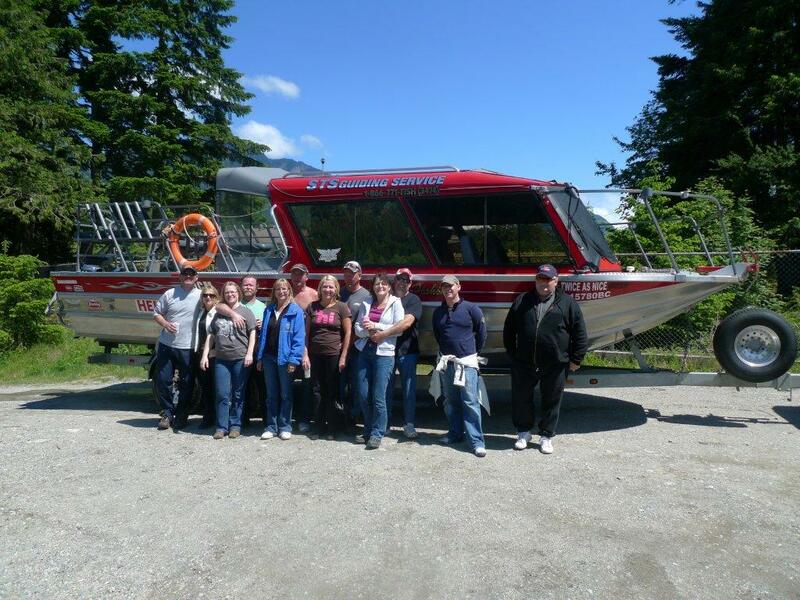 These are 4 hour round trips from Hope to Hells Gate, cost is $139.00 per person. We are also offering afternoon 2 hour Hope to Sailor Bar trips for $99, these trips start at 5pm from August 14 to Sept 15. You are currently reading April 28 Fishing Report Update at Hells Gate Jet Boat Tours Blog.